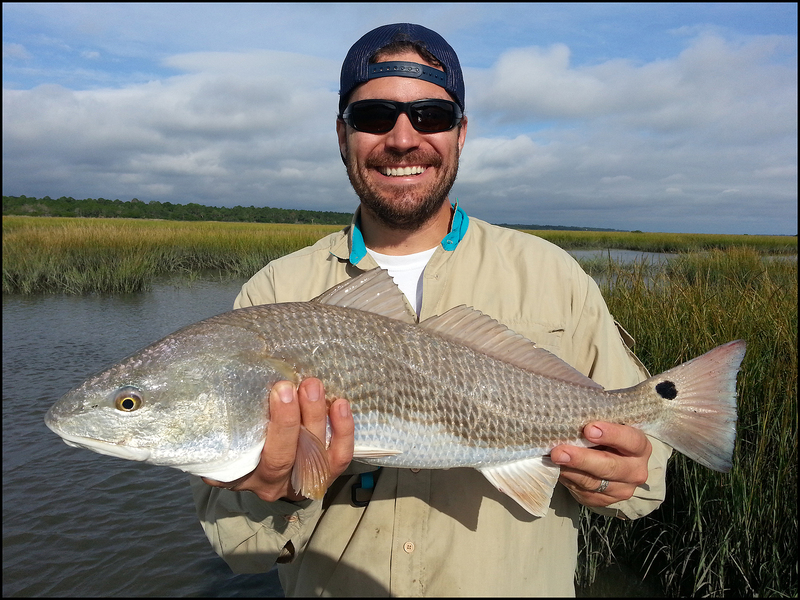 The red drum (Sciaenops ocellatus), also known as channel bass, redfish, spottail bass or simply reds are a dark red color on the back, which fades into white on the belly. The red drum have a characteristic eyespot near the tail and are somewhat streamlined. 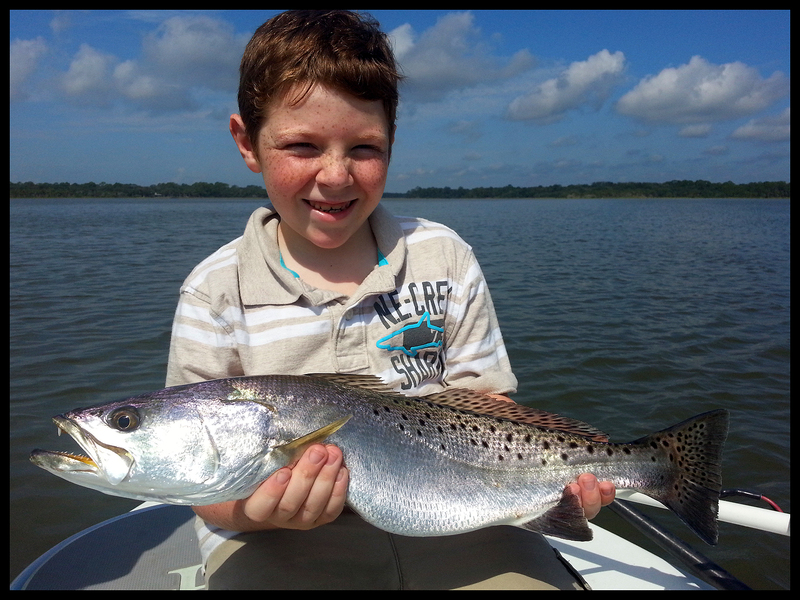 Three year-old red drum typically weigh six to eight pounds. The spotted seatrout, also known as speckled trout (Cynoscion nebulosus), is a common estuarine fish found in the southern United States .While most of these fish are caught on shallow, grassy flats, spotted seatrout reside in virtually any inshore waters, from the surf of outside islands to far up coastal rivers, where they often come for shelter during cold weather.Adults reach 19-25 inches in length and 1-4 pounds in weight. Southern Flounder (Paralichthys lethostigma), are compressed laterally and spend most of their life lying and swimming along the bottom on their side. In the case of southern flounder, the left side is always the “up” side; in other species, the opposite is true. 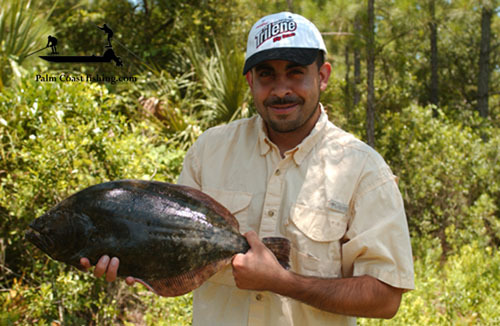 Small flounder grow rapidly and may reach 12 inches in length by the end of their first year. Males seldom exceed 12 inches, but females grow larger than males and often reach a length of 25 inches. 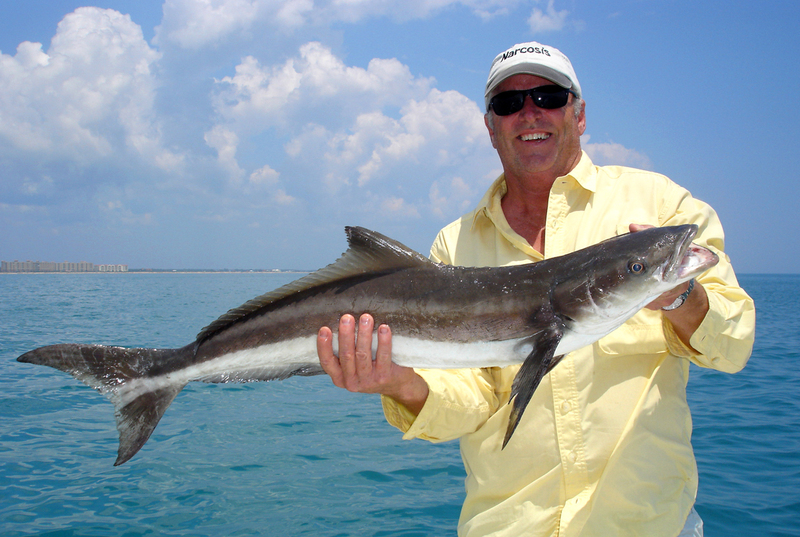 Cobia (Rachycentron canadum)—also known as black kingfish, black salmon, ling, lemonfish, crabeaters, aruan tasek, etc.—areperciform marine fish, the sole representative of their family, the Rachycentridae.Attaining a maximum length of 2 metres (78 inches) and maximum weight of 68 kilograms (150 pounds), cobia have elongate fusiform (spindle shaped) bodies and broad, flattened heads. Their eyes are small and their lower jaw projects slightly past the upper jaw. 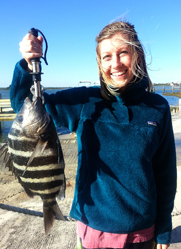 The black drum (Pogonias cromis) is a saltwater fish similar to its cousin, the red drum. It is the only species in the genus Pogonias. 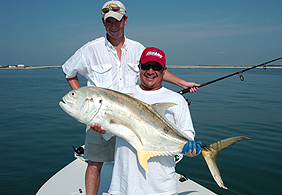 Though most specimens are generally found in the 5-30 lb (2–14 kg) range, the black drum is well known as the largest of all the drum family with some specimens reaching excesses of 90 lbs (40 kg). 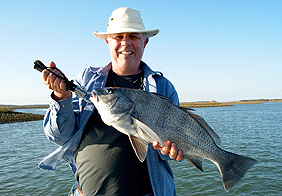 The world record black drum was just over 113 lbs (51 kg). 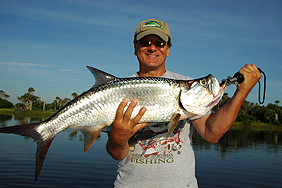 They are often black and/or gray in color with juvenile fish having distinctive dark stripes over a gray body. Their teeth are rounded and they have powerful jaws capable of crushing oysters and other shellfish. 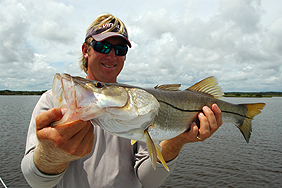 The common snook (Centropomus undecimalis) is a species of marine fish in the family Centropomidae of the order Perciformes.